As the summer approaches it’s not always sunshine and smiles if you have overgrown hedges that doesn’t do your garden any justice. 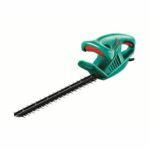 Unless you’re an avid gardener or have enough time on your hands to trim your hedges with a pair of garden hedge shears, you’re probably better off with one of the best electric hedge cutters. 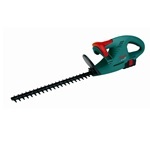 Investing in an electric hedge cutter also known as hedge trimmer can really save your precious time and effort. This is pretty much the same scenario when mowing the lawn, choosing an electric lawn mower over a push mower will have the same benefits. You can buy good cheap electric hedge cutters these days so cost shouldn’t be an issue if you’re going for the lower end models. Some people however still prefer using garden shears, if you’re not against the old fashioned way then compare the two to see which one is more suitable for you. Fortunately, picking the best electric hedge cutter is slightly easier than manually trimming your hedges with a pair of shears! In spite of that, it’s still no easy task since there are many features you need to understand and you also need to know about the types of hedges you have in your garden. 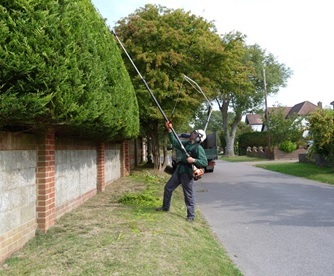 Nonetheless, if you are a rookie gardener who has little or no clue about hedge cutters, our guidelines below can hopefully shed some light on what to look out for. What Size Blade Do I Need? 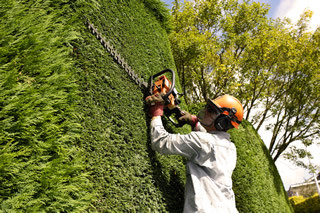 The correct blade size can depend on the types of hedges you’re dealing with. There are two main factors to take into account when deciding on the correct blade size. Blade length – A longer blade length will mean you can cut more hedge with one swipe, however longer blades also tend to be heavier and will tire you out quicker. 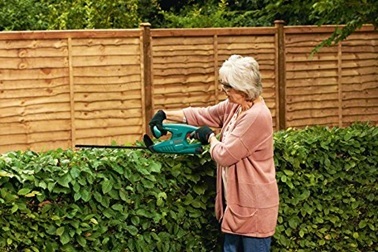 Go for a longer blade only if there are plenty of hedges that need to be trimmed, otherwise shorter blades tend to be lighter, quicker and less tiring. Blade gap – Blade gap or tooth spacing refers to the space between each of the small blades attached to the main long blade. Technically, the hedge cutter can cut any size branch that’ll fit between its blade gaps. 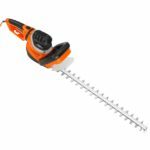 If you have a combination of different branch sizes then the one size fits all rule might not apply to your hedge trimmer. 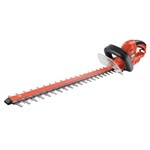 Instead, you can use a pair of secateurs or choose a hedge trimmer with a sawing function to tackle thicker branches. Having something that’s comfortable will reduce strain and would make the process less tiring. Two things that can help increase the comfort level are mentioned below. 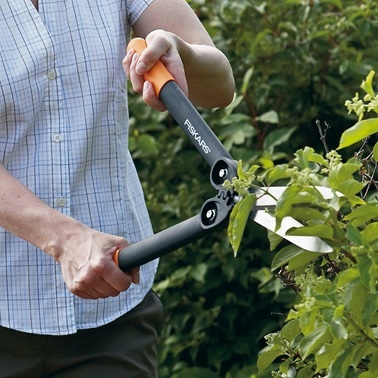 Ergonomic handle – Well pretty much all the hedge cutters have ergonomic handles, this will reduce strain on your hands as the handles are usually soft grip. To further increase the comfort and safety level, we recommend wearing garden gloves as well. Weight – One of the main factors that can really wear you down is having a heavy hedge cutter. Bear in mind that you can be holding it for up to an hour or longer, eventually it’ll start to feel heavy unless you opt for a lightweight hedge cutter. Models with a longer blade length and long reach extendable hedge cutters tend to be heavier, so if the increased weight will affect you then you might want to consider a lighter model if it’s possible to still get the job done with it. 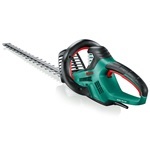 A question that many people can’t decide on is whether to go for a corded or cordless model. Well one way to answer this question is by checking how far the hedges are from the mains, if you need to use extension leads then it might not be practical. Although, we know there are many more factors you’ll have to take into account which we’ll go through below. Cordless – Cordless or battery powered hedge cutters allow you to freely cut your hedges without being restricted on how far you can go. They’re ideal if the hedges are quite far from the mains and it’s not practical to have an extension lead trailing across the garden. Below we’ll go through the pros and cons so you can decide if a cordless trimmer is suitable for you. Not restricted to how far you can go. No cable that gets in your way, which you can potentially accidentally cut through. Costs more money than corded trimmers. Lacks power to cut through thicker branches. Use time limited to battery life, although if you have a lot of hedges to cut it’s worth investing in a spare battery pack so you can finish the job without having to wait for the battery to recharge again. Charging time – How long it takes up to for the battery pack to fully recharge. As mentioned above, it’s worth having two fully charged battery packs for bigger jobs. Run time – Maximum duration you can get from a fully charged battery pack, of course people who use corded models need not worry. Cable length – For corded models, you’ll need to check whether the cable length is long enough to allow you to reach all the hedges or if you need to plug it into an extension lead. Corded hedge cutters usually have more power than cordless ones, however petrol trimmers are the most powerful and it’s cordless but of course it has its flaws too. Do I Need A Long Reach Hedge Cutter? We’re sure most people are aware of what a long reach hedge cutter is just by looking at the name. 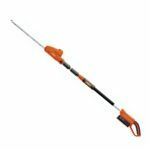 For those that don’t, it may also be referred to as a telescopic or extendable hedge cutter and it’s able to extend from the standard length up to 2.5 – 3 metres depending on the model. Options of having corded, cordless or petrol models are still available with long reach trimmers. 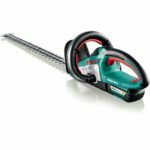 The increased length enables you to trim hedges at a much higher height, the head angle can also be adjusted up to 90 degrees so the top of the hedge can be cut horizontally. On the other hand, it’s harder to control at such heights and you can’t really see what’s going on up there. Also, extending it increases the weight by a lot so it’ll tire you out a lot quicker. If you’re not comfortable with the increased weight then alternatively you can use a normal trimmer but stepping onto a ladder with a wide platform. Motor – Corded models give the power reading in Watts, whereas cordless models use Volts. For big jobs, it is advisable to select a model with higher power which corded trimmers tend to provide. Cordless trimmers tend to be weaker, however the high end battery powered ones will have sufficient power but will cost a lot more. Sawing function – For branches that are too thick to be cut by the blades, the sawing function only applicable to very few models, allows you to saw branches a few millimetres thicker than what it can already cut. When sawing or cutting branches please remember to wear safety goggles to protect anything from getting in your eyes. Tip protector – Protects the tip of the blade from potential damage if you’re working near walls. This prevents the blade from touching the wall which will cause more damage to the blade. Warranty – If anything should go wrong with your trimmer, rest assured as you’re covered by the manufacturer’s warranty for a certain period. 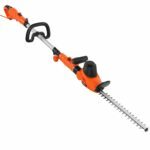 We can imagine that most people would choose an electric hedge cutter over manual hedge shears, but there might be a few people who are still considering the latter. As a result, we’ve created a list of the pros and cons of each one because it’s usually easier to decide once you have a comparison. 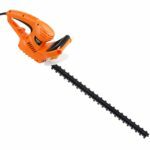 Some gardeners may use a combination of both, they’ll use electric trimmers cut through branches as it’s a lot quicker, but for the finishing touches they’ll use hedge shears. Saves a lot more time. 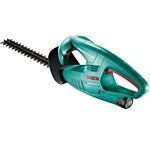 Various options to choose from such as: Cordless, telescopic etc. Although lower end models are very affordable, it still costs more money on average. Doesn’t give you as much control. Environmentally friendly as doesn’t use any electricity or petrol. Gives you more control so when the job is finished the hedges will look nicer. Safer to use, especially if you’re not comfortable handling an electric trimmer. Takes a lot longer and very time consuming. Can’t reach as high up.